Hello! I'm going to do a devlog of my upcoming game right here on itch.io! It is codenamed PROJECT QUINOA! 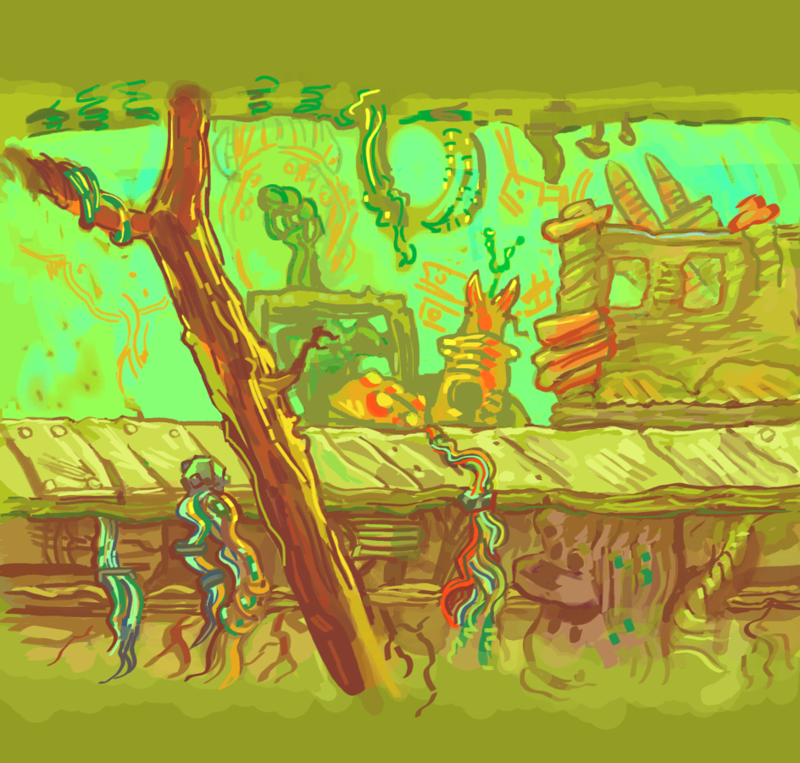 The first area is a vegetable spaceport with organic veggie structures and villagers. 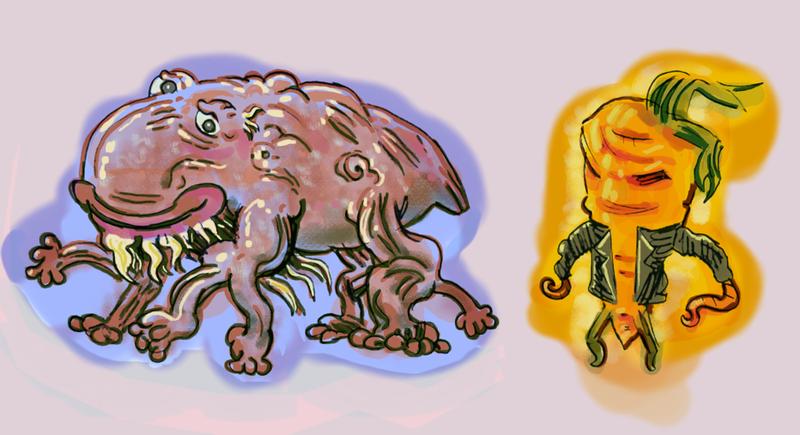 Here is some concept art! That's all for now. More to come, this game is going to be my biggest yet and probably take me forever to make! I've decided this is the spot I want to talk about the game. itch.io is the best! New devlog! I'm basically prettying up the vegetable city, trying to get it to a level of detail & polish I'm happy with. Carrot Punks. You can kick them! The plan is to have the Player able to kick everything while in town. 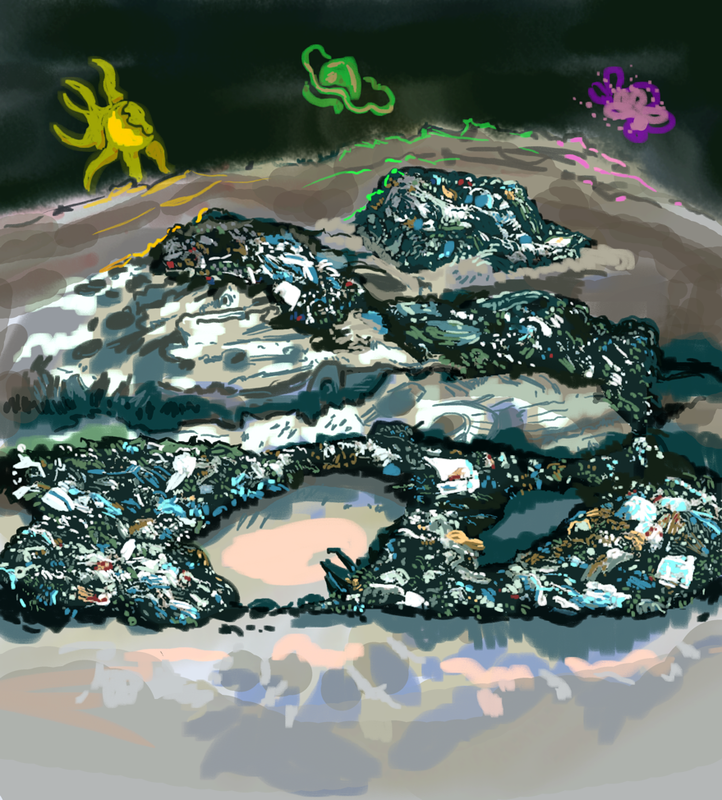 Something I'll be working on soon is the game area for this concept art, which is a trash-filled moonscape. Also, concurrently with the game I'm creating "comic panels" for the game's interactive cutscenes. 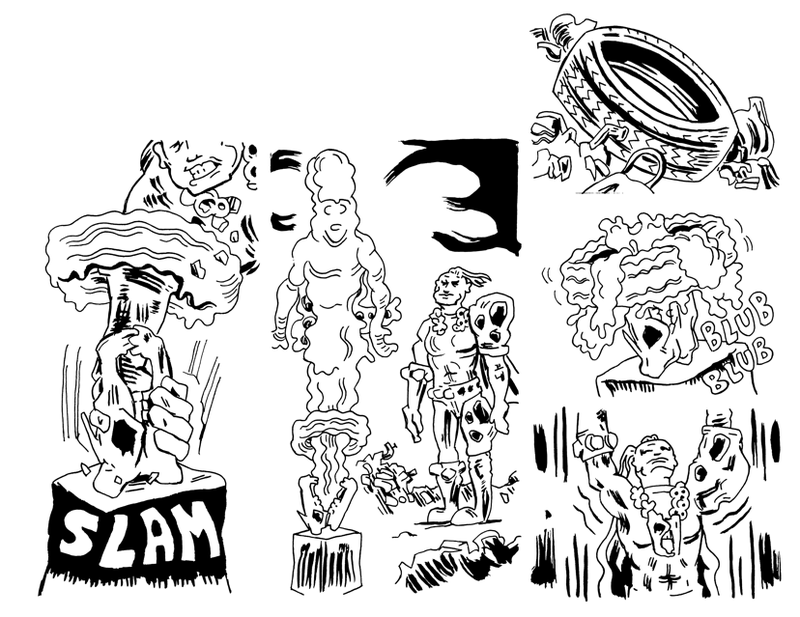 Here's a sneak of the pen & ink art for that! I am trying to intentionally overload you with art. Is it working? Back! After much time has passed! The veggie city is close to how I want it looking! 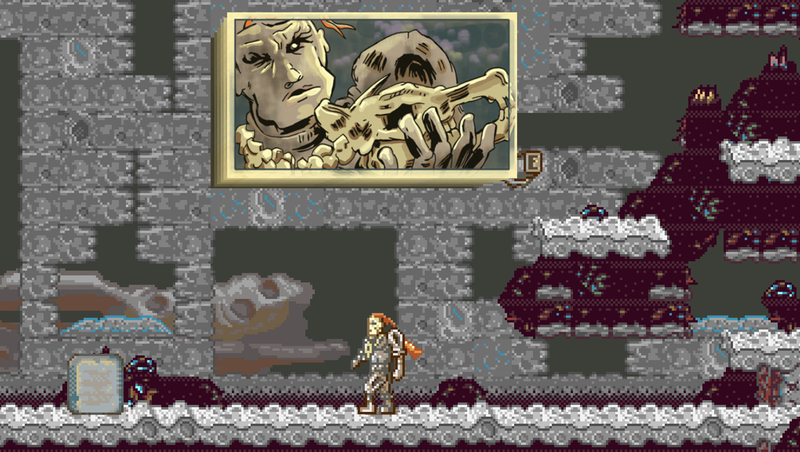 The panels are starting to show up in the game, though I've got to get the cutscene action in there. My original plan was to make this a big ole metroidvania ala Hollow Knight, but I've resigned that will not be an attainable goal for one dev. Soooo, I'm now thinking of it as episodes. 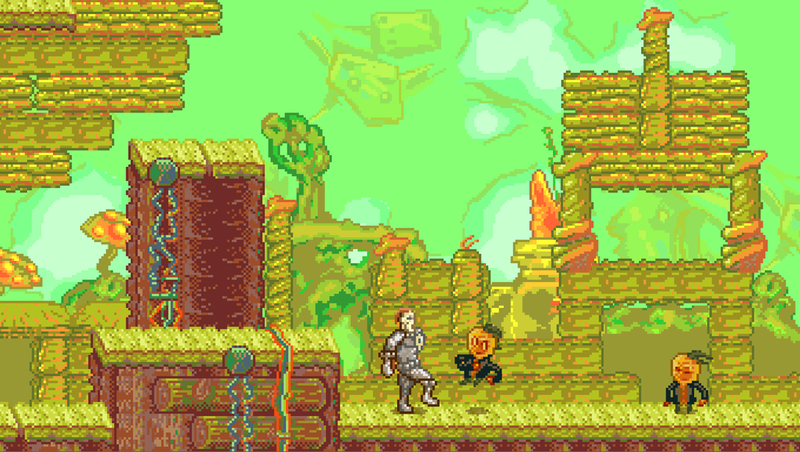 Each episode will be a mini-metroidvania platformer loosely like reading an issue of a comic book (the idea I started with The Red Mummy). The first one I'm calling The Demo and I want to have it completed this year! Nice! 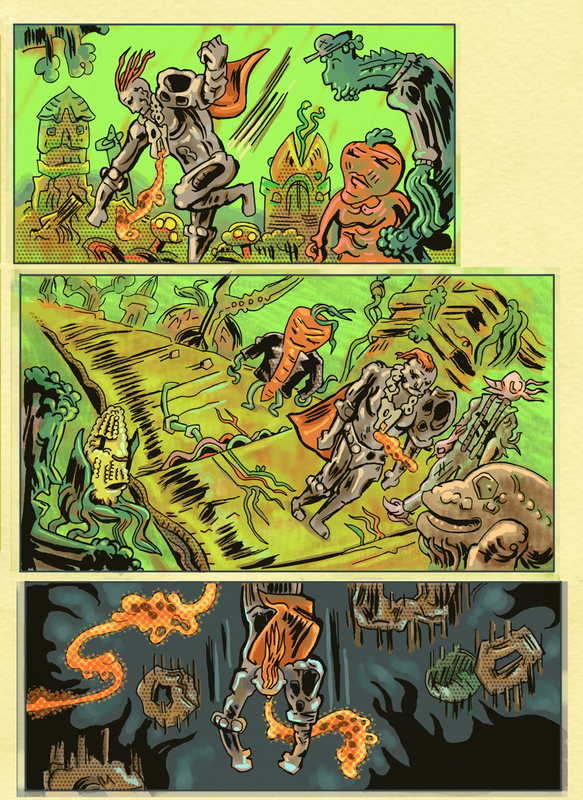 Here's a sample of a completed "comic" page (it'll appear all chopped up as panels in the game proper). 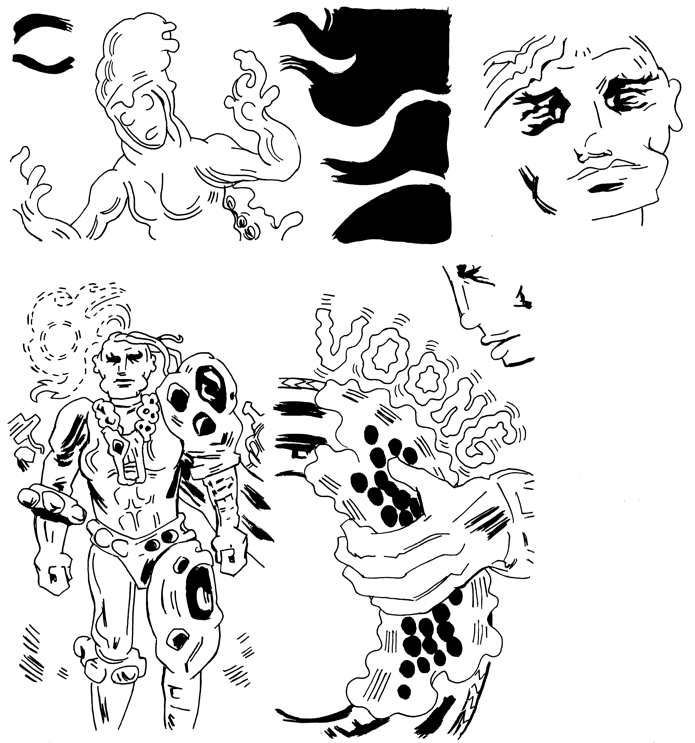 Oh another cool thing I might as well announce is my friend William Cardini, top creator of weird space comics (check out his stuff here!) is helping me with story & world design. 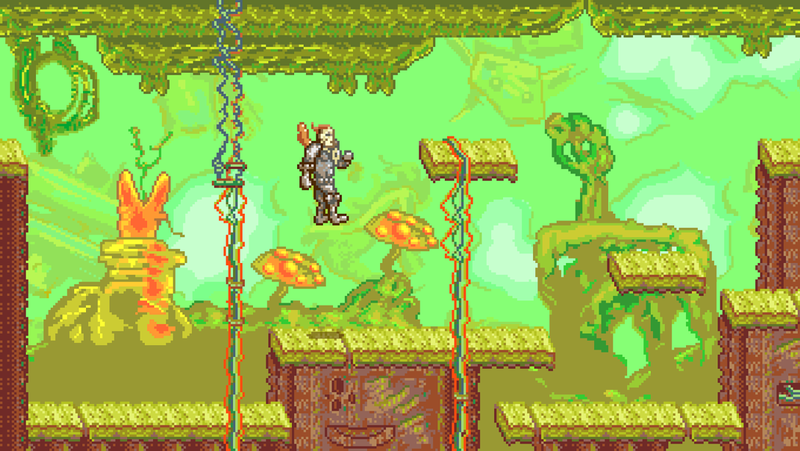 Here's a quick teaser, me converting his planets to pix! I'll see if he wants to share any more stuff!